If you’re a chiropractor or Applied Kinesiologist, you’ve committed to helping your patients recover from conditions that negatively impact their life, and regain optimum health. Effective implementation of the hands-on techniques used in your treatment plan. In designing my products, I’ve sought to help you achieve greater efficacy in each of these areas. “As a chiropractor and an Applied Kinesiologist, I know that the specificity of my adjustment is paramount to the healing of my patients. Adjusting patients requires the same time commitment and dedication any professional athlete would put in for practice. The key to powerful, effective, and specific chiropractic adjustments is learning and developing the techniques, balance, coordination, and timing. Dr. Charles has put this program together in order for chiropractors to help themselves develop into masters of their art, the adjustment. Precision Adjusting is a practical course that enhances your understanding of high velocity, low amplitude adjustments. You’ll learn how to perform more accurate and effective adjustments with less effort, rapidly providing your patients with long-lasting relief. In the 100 Hour Course Applied Kinesiology Course, you’ll be introduced to the holistic frameworks and concepts that allow you to more accurately diagnose and effectively treat your patients. Chiropractors around the world raved about the impact that integrating Dr. Charles’ teachings has had on their treatment efficacy. If you’re an Applied Kinesiologist, you’re going to love how AK: The First Visit transforms your new patient visits. You’ll learn how to build a long term relationship from the first visit, condense what now takes you three visits into a single session, and begin providing immediate relief to your patients. 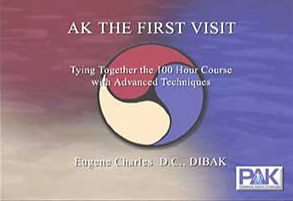 Who Is Dr. Eugene Charles DC, DIBAK? 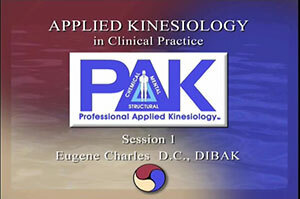 Dr. Eugene Charles received his doctor of chiropractic degree from the Los Angeles College of Chiropractic in 1987 and in 1994 he became the youngest doctor to earn his Diplomate degree in applied kinesiology. He currently teaches postgraduate courses certifying doctors of all disciplines in applied kinesiology and has certified more doctors over the past 20 years than any other teacher. Dr. Charles has also authored numerous books including: Precision Adjusting For The Master Chiropractor, The Paradox A Conversation of Life, and The Day Society Found Her Soul. He has also served as a Medical Supervisor for The California Special Olympics. 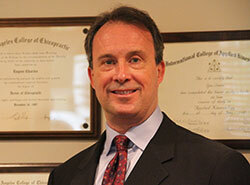 Dr. Charles currently maintains a private practice in New York City. Q. How do I access my materials? After purchase, you will receive a username and password to access your materials on drcharlesonline.com. You can access these materials from any internet enabled device. Q. 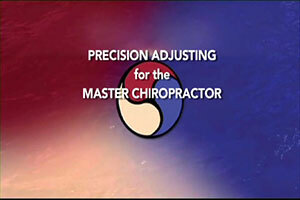 Is this only for master chiropractors? I’m still a student. Yes, you will find this course valuable. You’ll be learning directly from a Chiropractor with more than 30 years of experience, seeing how he performs adjustments. Q. I’ve been a Chiropractor more than 30 years. Should I take this course? Yes, you will find it beneficial. And here’s why… Members of Precision Adjusting, some with decades of experience, have found the program to be beneficial as it not only refreshes and further develops techniques, but provides a complete training program to develop your coordination, balance, strength and stamina. Q. Does customer support exist for this product? Yes. If you have any challenges in accessing the material of Precision Adjusting, you can contact support@drcharlesonline.com. The support desk is managed by Whole Health Publishing, a publishing company co-founded by Dr. Shannon Weeks ND PAK, who will ensure you can access your materials with no hassle.